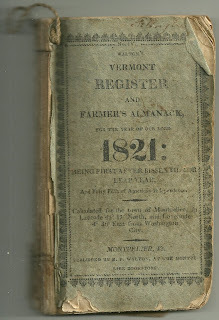 Interesting clipping pasted into an 1821 Vermont Register re-purposed as a tiny scrapbook. Transcription below. No food or lodging shall be afforded to a Quaker, adamite, or other heretic. No priest shall abide in the dominion; he shall be banished, and suffer death on his return. Priests may be seized by any one without a warrant. No woman shall kiss her child on the sabbath or fasting day. Whoever wears clothes trimmed with gold, silver, or bone lace, above two shillings by the yard, shall be presented by the grand jurors, and the selectmen shall tax the offender at 300 pounds estate. No one shall read common prayer, keep Christmas, or saint days, make minced pies, dance, play cards, or play on any instrument of music, except the trumpet, drum and jews-harp. Married persons must live together, or be imprisoned. Every male shall have his hair cut round according to a cap. Yowzah! I wonder if that philosophy prevailed as late as the early 1800s? On a lighter note, thankfully the blue laws petered out before the arrival of pizza pies - New Haven's got some of the best! 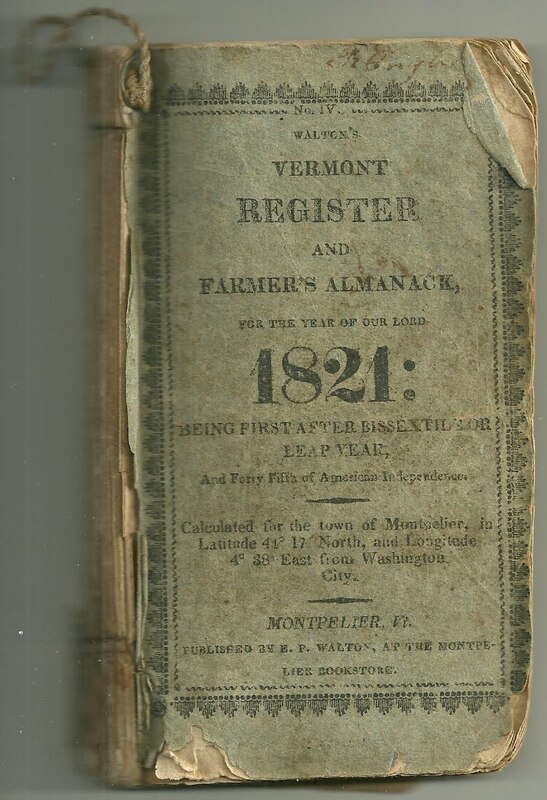 I found some other interesting clippings in this little book and will feature some of them in future posts. One relates the terrifying experience of wolves chasing a Canadian mother and children in their one-horse sledge.